Every year thousands of people come to the realisation that they need help and support coping with their daily lives or that they need a helping hand taking care of a parent, sibling or family member. For over 25 years, CARE AT HOME GROUP has been providing adult care services to families in the North West. 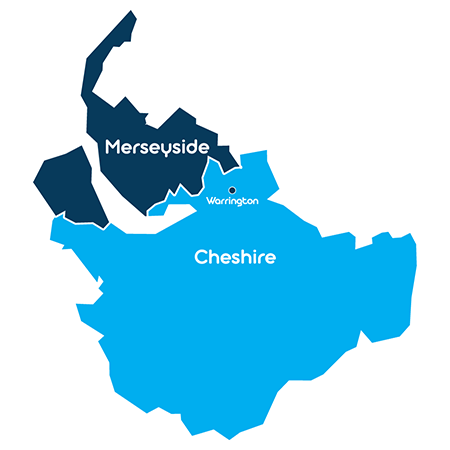 We started our journey in Warrington and have now expanded across Cheshire and Merseyside. We are committed to providing the best possible home care services for our clients and our commitment to you is simple: We will help you or your loved one continue to live at home for as long as possible and we will help you find peace of mind. We truly believe in our motto: Our Care, Your Independence. At CARE AT HOME, we understand that you need a quality, reliable home care service for you or your loved one that you can trust and count on. You are searching for qualified, professional Carers who will treat your family member with the compassion, respect and dignity that they deserve. We take great pride in, and have great passion for, the work that we do—and we only employ Carers who share our deep-rooted commitment to compassionate, attentive care. When you trust CARE AT HOME to provide care for you or your family, it is with the understanding that your needs will be met. The expertise of our carers makes it possible for us to provide a wide range of home care services. Our professional Carers are available to provide half hourly care, hourly care, overnight care and 24-hour care. Our Senior Carers (Care Coordinators) are trained to create an individual and personalised care plan for you or your loved one. CARE AT HOME provides families with a variety of services including; companionship, personal care, hygiene assistance, meal planning and preparation, light housekeeping, laundry assistance, medication reminders, respite care, overnight care, Alzheimer’s and dementia care and assistance running errands. We can also keep you connected to the local community, be it shopping trips, lunches, or visits to friends and family. With your personalised care plan, you can customise our services to meet your own individual requirements. No matter the type of care we provide, you can count on our commitment to you remaining the same. We will provide a high-quality level of care that enables you or your loved one to maintain their independence and their dignity. Our professional, compassionate Carers will work closely with you or your loved one so that they can continue to live at home and enjoy the surroundings and lifestyle that they have been used to and that makes them comfortable and happy. Assisted living facilities and nursing homes aren’t the only options when you or your loved ones need support. With CARE AT HOME as your care provider, your loved one can continue to live in their home. “I love being a carer because I like looking after people and its very satisfying that you are helping people to do what they are unable to do themselves. You play an important role in their lives, as sometimes you are the only person, they will see each day.